This automatic Liquid Soap Dispenser is round and short ,with white color, ABS plastic pump.Electrical power infrared induction foam Soap Dispenser.It is wall mounted, easy to install. 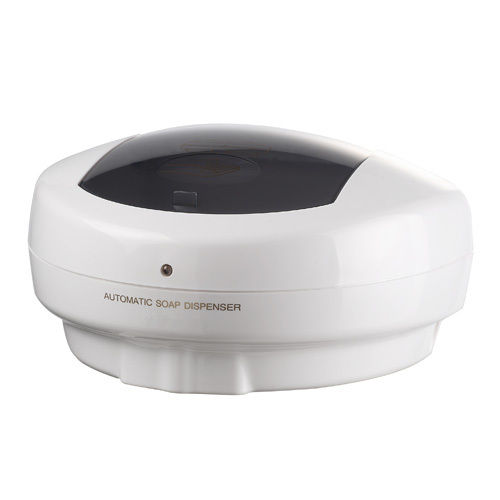 Wholesale Automatic Kitchen Touchless Hand Soap Dispenser . Hand free liquid soap dispensers, can be used in home kitchen,bathroom ,and public restrooms .Modern and hygiene. Looking for ideal Automatic Foam Soap Dispenser Manufacturer & supplier ? We have a wide selection at great prices to help you get creative. All the Induction Liquid Soap Dispenser are quality guaranteed. We are China Origin Factory of Wholesale Liquid Soap Dispenser. If you have any question, please feel free to contact us.